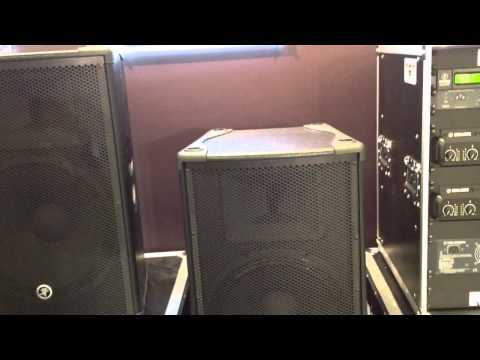 The Perfect Partner To Mackie PPM Powered Mixers The Mackie S515 Passive Loudspeakers offer performance and build quality which shatter the.. The Mackie S515 Passive Loudspeakers offer performance and build quality which shatter the expectations of it's price point. Featuring a 12" high output woofer and 1" compression driver, these loudspeakers can handle a massive 1000W at peak power handling and can be used directly with a PA or alternatively added to an existing powered mixer set up for use as a monitor or front of house speaker. One things for sure, at this price point its hard to argue with the performance on offer from the Mackie S515.